HP Compaq CQ58 Cheapest Notebook AMD Dual-Core E1 15.6" 6GB RAM 320GB HDD HDMI. A Grade Prisitne item, Open Box and Complete, 1 Year Warranty. At an affordable price, get the features you need without paying for what you dont want. So sit back and enjoy your Compaq CQ58 knowing you just got a sweet deal! 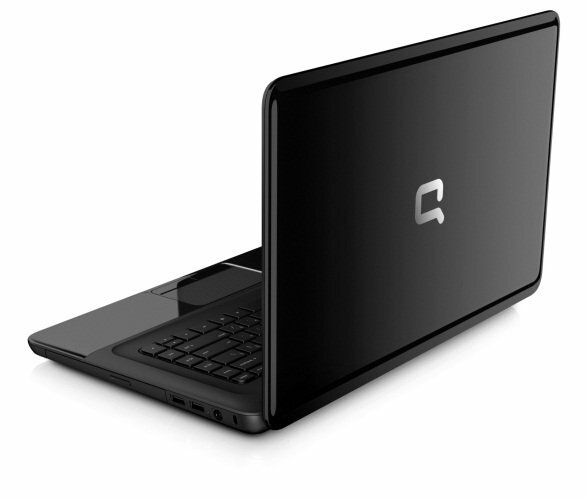 Designed with you in mind, the Compaq Presario CQ58 comes with AMD Dual Core Processor 1.20 GHz . Also, this Compaq offers a full sized textured keyboard and a touch pad with an on/off button for uninterrupted typing. The 39.6cm (15.6") display shows your documents in crisp, clear detail and Microsoft Windows 8 (64 bit) helps you get to your favourite programmes and files in no time at all. Want to stay in touch with friends and loved ones? The built-in webcam with integrated microphone is perfect for video chat. This notebook helps you get more from your films and videos. With a vivid 39.6cm (15.6") display, supported by graphics options, you get high-quality video playback and clear images. Sit back and watch all your favourite films in style. The Compaq Presario CQ58 will accommodate up to three peripherals at any time with its three USB 2.0 ports enabling you to quickly transfer photos from your digital video camera or music from your MP3 player. It is WiFi certified to work with base stations and routers that use industry-standard 802.11 b/g/n making it easy for you to connect rapidly to the internet at home, work and on holiday. The Compaq Presario CQ58 is an ENERGY STAR qualified product so it will save you money by reducing energy costs at the same time as helping to protect the environment without sacrificing on performance. Compaq products that earn the ENERGY STAR qualification minimize greenhouse gas emissions. Compaq is committed to combining innovative ideas, energy-efficiency and environmentally-friendly design, making sure your digital world has a lighter impact on our planet. The CQ58 comes with 500GB Serial-ATA (SATA) hard drive (5400 RPM) maintains high data transfer speeds, meaning you don't need to wait long for your documents and pictures to open. To support this, the Compaq Presario CQ58 comes with a 4GB memory. The Compaq Presario CQ58 range is pre-packed with the latest applications, tools and operating systems to ensure that you get the ultimate computing experience. It comes with Microsoft Windows 8 (64-bit) as standard, the perfect choice for going beyond mere email and web surfing to improve personal productivity and get the best in all kinds of digital entertainment. 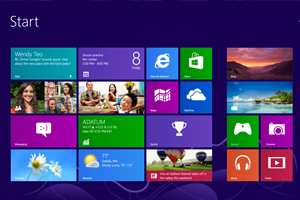 Because Windows 8 can run on low-power CPUs, you can work much longer on a single charge. That means you can stay connected so your PC is ready when you are. Battery life is longer and connections are stronger so youll be able to find a device to suit you for work or play. Integrate your online favourites, such as Facebook, Hotmail and Flickr, with content from your PC, such as photos and contacts. With thousands of apps to choose from, there's something for everyone. Once you buy an app from the Windows Store, it's yours to use on up to five Windows PCs or tablets.